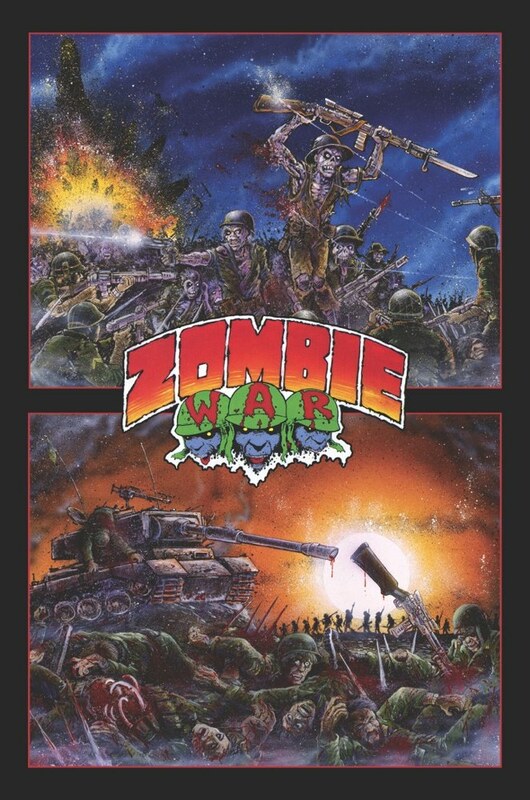 In 1991 Kevin Eastman, Tom Skulan and Eric Talbot came out with the comic book mini-series Zombie War – and in October of 2013, the series was re-released by IDW. 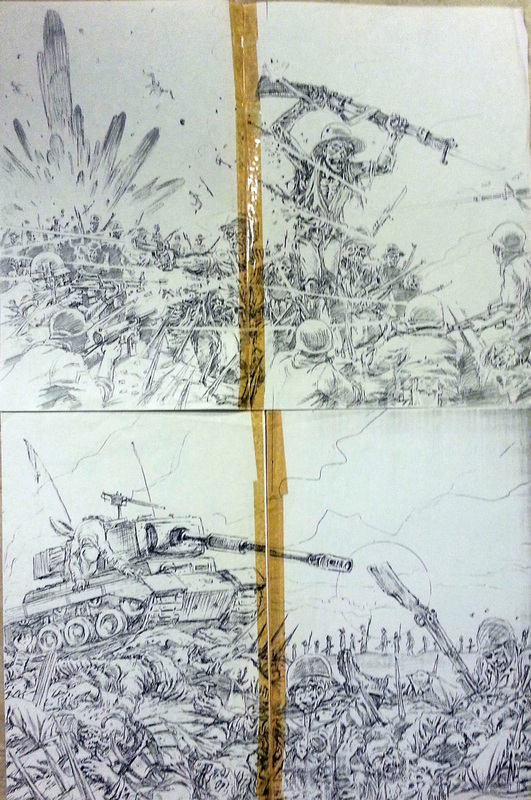 Friend and fellow Kubert School alumnus Mark McMurray provided the original stellar cover pencils for the series (over Eastman layouts). 20-year-old Xerox copies from Mark’s files. Unfortunately, Mark was never given credit for his work for the reissue. 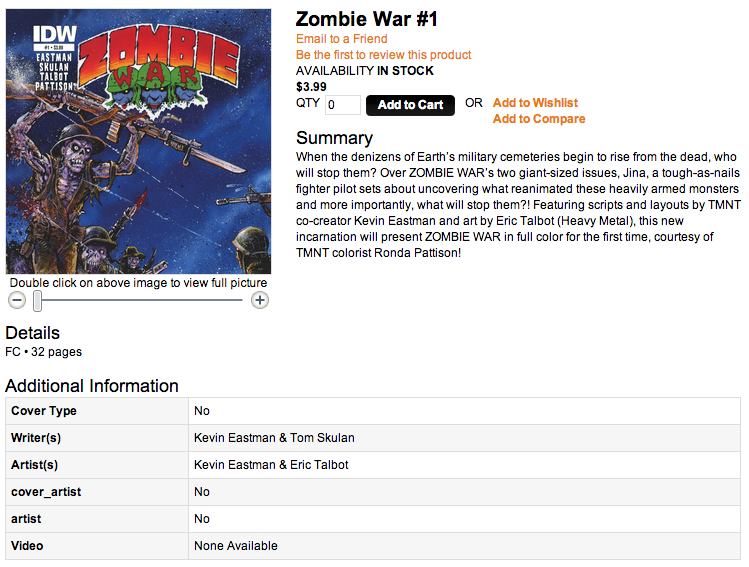 IDW’s info on their website as of June 2014. I had been in contact with IDW in hopes of clearing this up, but enough time has passed without any resolution that I’m posting it here so proper credit can be given. This entry was posted in Mark McMurray and tagged Mark McMurray. Bookmark the permalink.